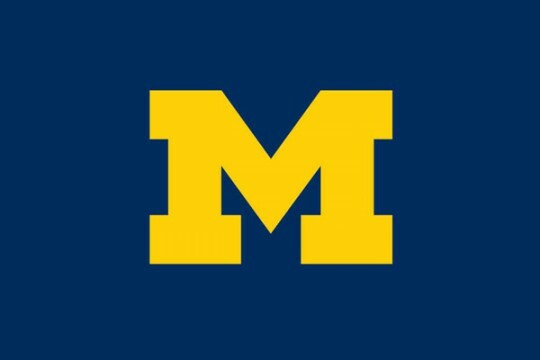 Faculty, staff, and students from all three University of Michigan campuses are coming together over the water crisis in the city of Flint to offer everything from research expertise and accurate information on the situation to water filters and bottled water. UM-Flint Chancellor Susan Borrego and Provost Douglas Knerr are leading the coordinated university response. “We are a campus of problem solvers,” Borrego says in a message to the university community. “We are committed to making a difference in our students’ lives and in our community. 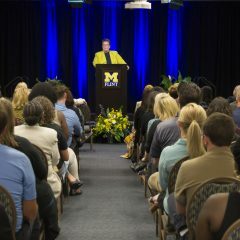 Part of that call to action is a commitment by U-M President Mark Schlissel to provide $100,000 in seed funding for university faculty research initiatives to address the Flint water crisis. 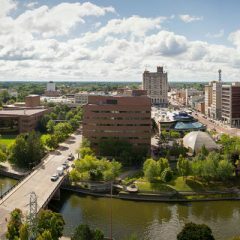 The meeting is schedule for 1 p.m. Jan. 29 in at the UM-Flint’s Riverfront Center in downtown Flint.